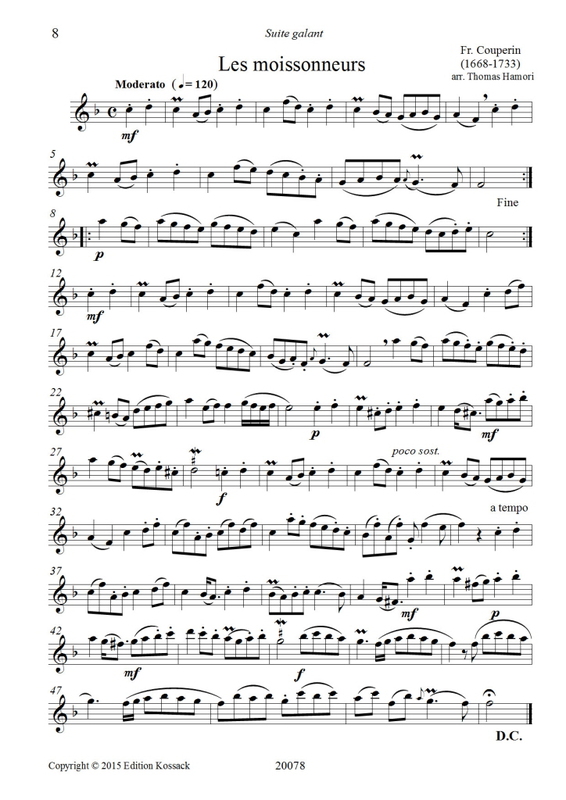 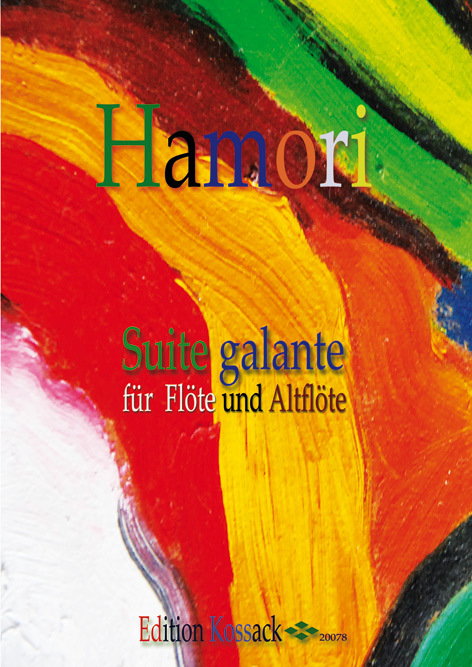 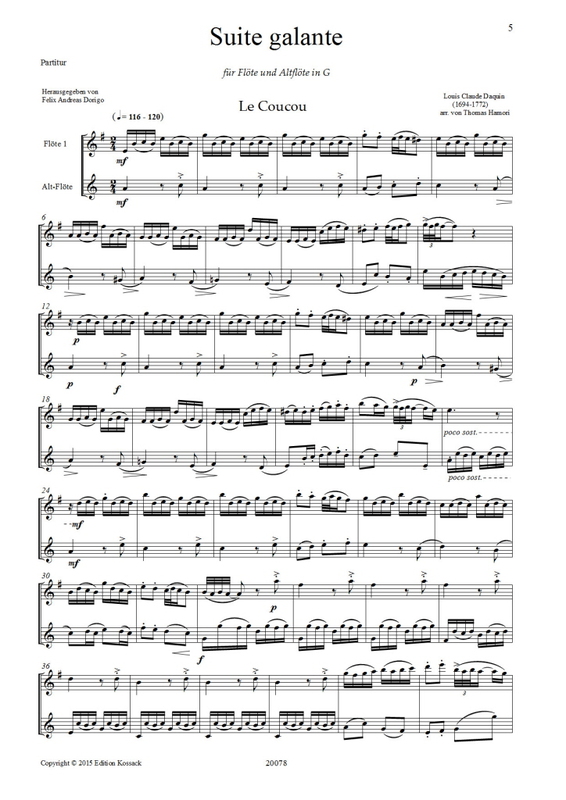 This publication by Hamori, entitled "Suite Galante", is dedicated to duets for flute and alto flute. 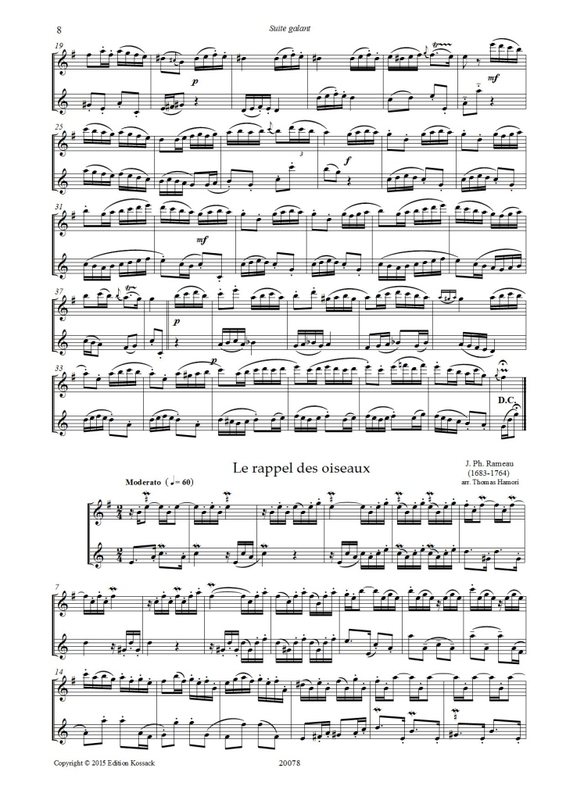 It contains a collection of works by French clavichordists such as Louis-Claude Daquin, François Couperin and Rameau. 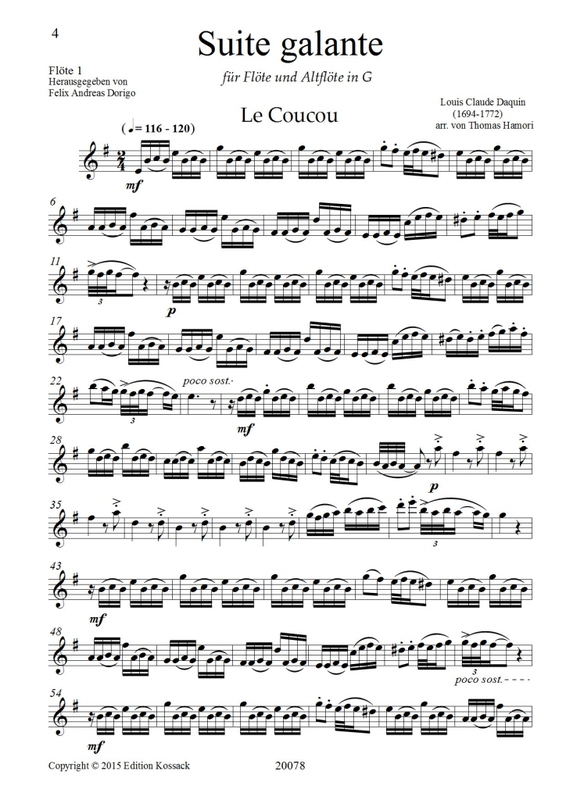 These works demonstrate Thomas Hamori’s keen sense for the French music and are particularly thoughtful in their adaption to this unusual form.